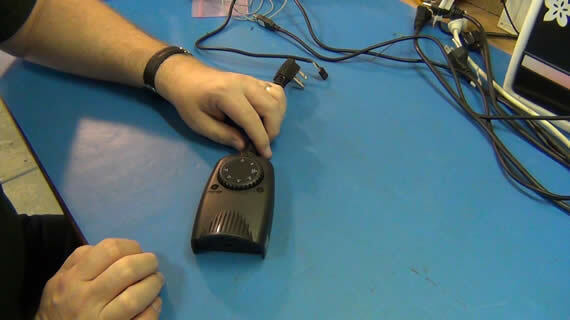 Today I’m going to show a video on how to troubleshoot and repair a timer control. I will be sharing my evaluation of the problem and my final solution. 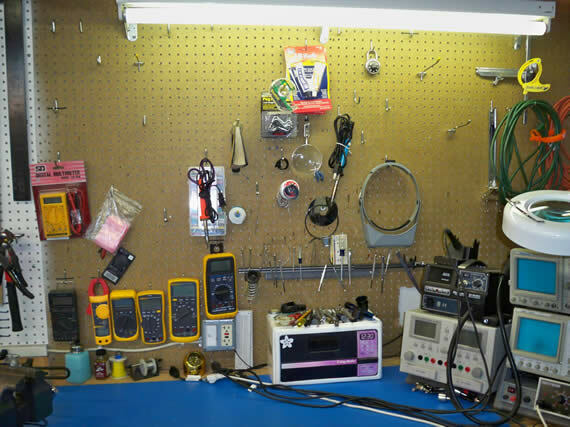 Along the way I demonstrate three different methods on how to remove electronic components and I give some hints to make it easier. I show how to fix a fused relay and in just this blog posting, not the video, I also document how to test a bipolar junction transistor (BJT). If you don’t care to watch the video I will summarize below. I have an exterior timer control that turns my Christmas lights on at dusk and off after 6 hours. I noticed they never turned off one day and thought I had left the timer control set to the ON position. But no, it was set to off 6 hours after dusk. I then set the selection switch to OFF but still it was on. I unplugged and plugged it back in but got the same problem. It was time to go to the electronics bench. Today I’m going to reviewing two types of Pomona test lead holders. A representative from Farnell contacted me and asked if I wanted to review some products. I said, “Sure, free supplies for my lab!” Actually, I found out that anybody can sign up for their product “Road Test” program at Element14.com but not everyone is selected. Farnell is a European company and known as Element14 in Asia and Newark in America (online catalog). But they also have a nice online community site at Element14.com/Community where you can get to their “Store” for your region. 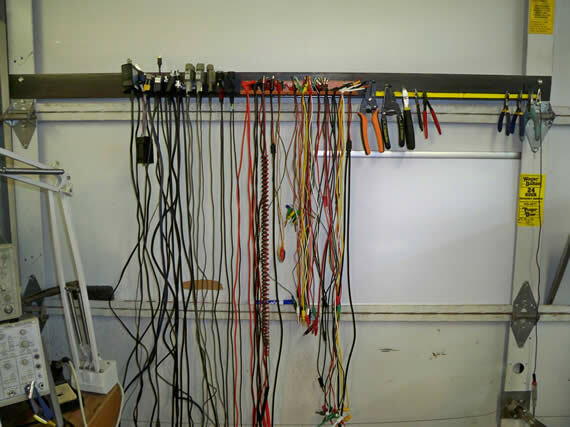 For the “Road Test” I chose to review some different test lead management hangers made by Pomona. 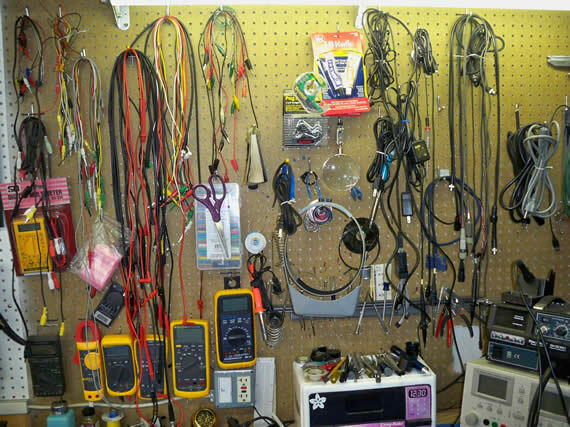 I have quite the mess of jumpers, patch cables, DMM probes and oscilloscope probes hanging on my peg board behind my lab bench. 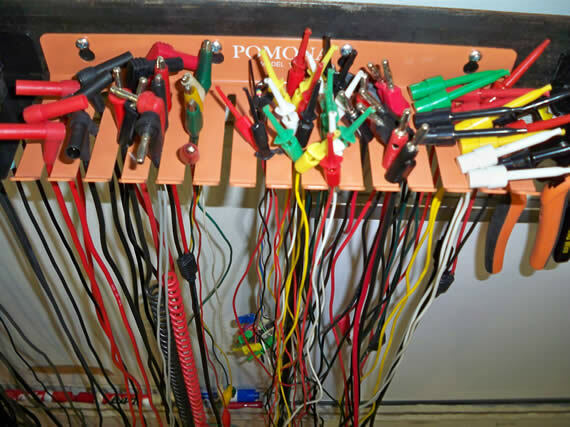 That is not a good way to store these and they are very difficult to access on peg board. I selected two sizes with two different mounting options for this review. The Pomona model 1508 with 14 slots at 0.21in (5.33mm) opening is great for jumpers, patch cable and test leads. The 1508 model needs to mount using screws. I also got the Pomona model 4408M with 8 slots at 0.32in (8.13mm) opening with magnet mounting. The 4408M is nice for oscilloscope probes and larger items. I was quite disappointed to find that you lose two slots for the magnet mount because they just bend the outside prongs down and add stick on magnets. This magnetic option drops a model 4408 with 10 slots to a 4408M with only 8 slots. If I had known that I would have got the model 4408 and just added my own magnetic plate. The photo for 4408M at Neward.com is curretly wrong and shows the model 2708 without bent prongs. The magnetic option was not strong enough for the thin metal in my garage door anyway so I bent the two extra prongs up and used the screw mounts. 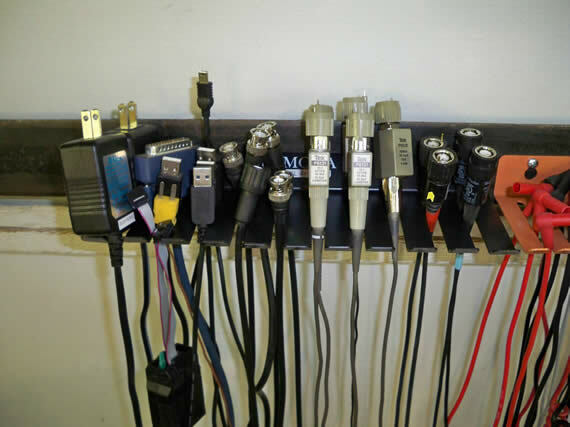 You can fabricate your own test lead hangers but at these prices it just makes sense to buy. Here are the after shots of my lab. WOW these hangers sure helped clean things up and I have already found it much easier to find and select items. I even found some lost jumpers and micro hooks. I thought they were gone forever but were just under the pile of cables hanging on my peg board. I will not be losing track of such items anymore! I guess I will have to get one more 1508 because I have so many jumper cables. I may even get their biggest hanger model 2708 with 9 slots at 0.45in (11.43mm) opening for my PC power cords and wall warts. You are currently browsing the ToddFun.com blog archives for December, 2011.